The finale of My Kitchen Rules is locked on for 8pm Sunday April 28. House Rules will also return on the same night, at the earlier time of 7pm. 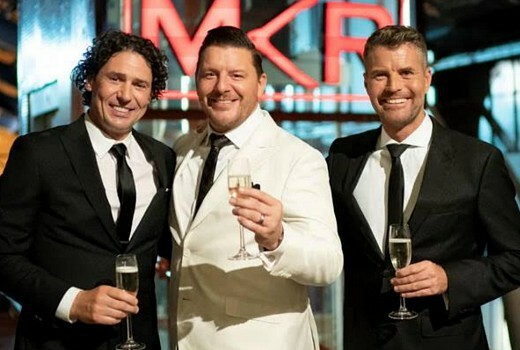 Another version of MKR is due to screen later this year. Just saw that House Rules Starts- Sunday April 28 Then the MKR Grand Finale. Correction- House Rules starts after the MKR Grand Finale. I predict Lego Masters will trump MKR in the ratings and rightfully so. Time for 7 to retire MKR for a few years. I could see Seven and Nine not bothering running the election debate, or bumping it to 7Two/9Gem. Their reality flagships will surely outrate an election campaign few are interested in, not to mention an ad-free broadcast competing with more politically-minded audiences on the ABC and Sky. Unless the debate will air late on the east coast with the time difference, given the debate is in Perth. Thank F*&! for that! I don’t watch the show or read these articles, but it is all over the TV adverts for over 6 months it is sooooo annoying! What a relief!